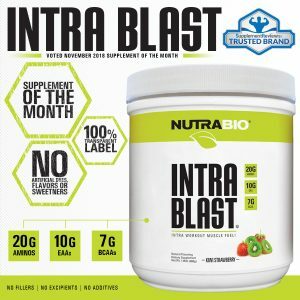 This month NutraBio is thrilled to announce that our Intra Blast Natural has won Supplement of the Month on SupplementReviews.com. 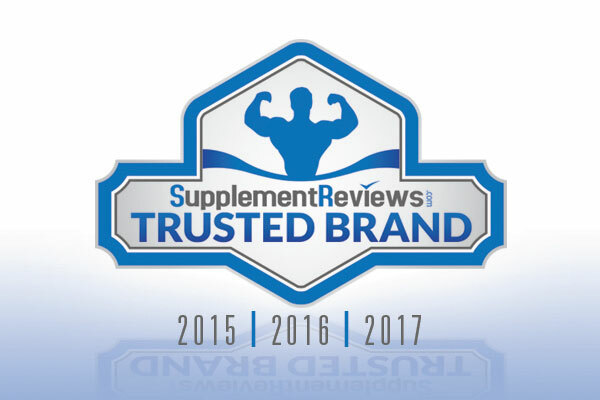 SupplementReviews.com is one of the most trusted and frequently visited online resources for honest reviews on all your favorite supplements categories, products and brands so we are honored to take home yet another award from this site. 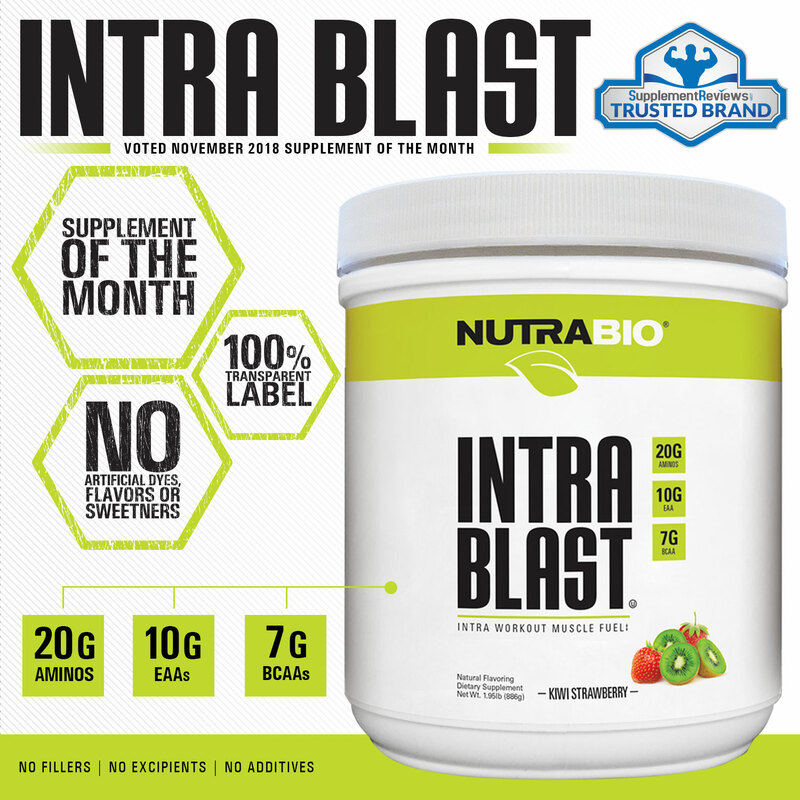 Intra Blast Natural is a newer, naturally flavored and sweetened version of our best selling Intra workout amino acid product, Intra Blast. 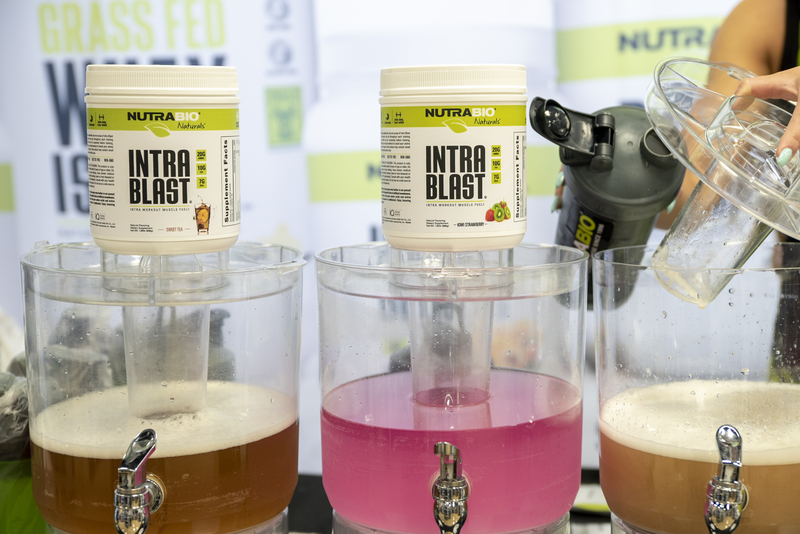 Intra Blast Natural helps fuel performance and drastically reduce recovery time through it’s loaded 29 g serving formula which features clinical doses of 16 research-backed ingredients. Intra Blast Natural is a full spectrum EAA product which includes 7.4 g of BCAAs and 2.6 g of EAAs. This 10 g total serving of all 9 EAAs helps stimulate muscle protein synthesis, enhance muscle growth and decrease soreness so that you can push harder, grow more effectively and train more frequently. 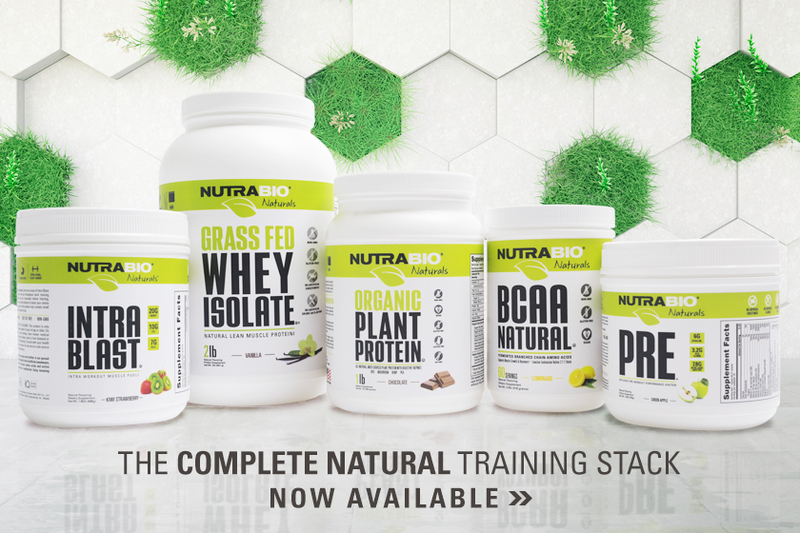 We also added 5 g of glutamine and 2 g of betaine to bring your recovery and power output to the next level. Last but not least, we rounded this product out with a 2.8 g electrolyte complex to maximize hydration. All in all, Intra Blast Natural is the most well-rounded natural Intra workout product on the market today which is why it received top honors from SupplementReviews.com. This entry was posted in Supplements, NutraBio Nation. Bookmark the permalink.